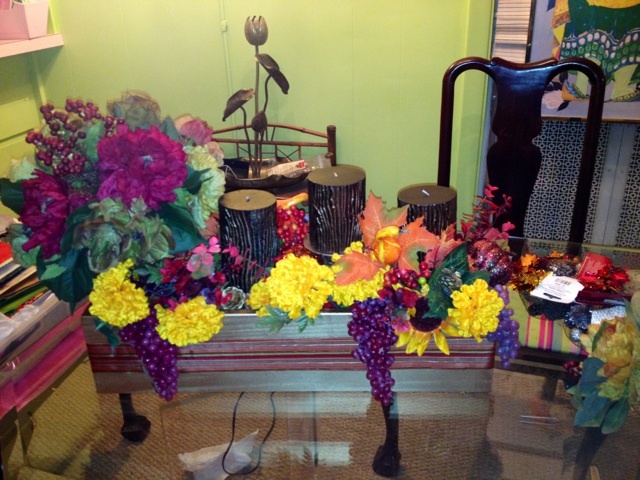 As promised, I have pictures of the centerpiece I created last night for said United Way Craft Day auction! And the “back,” but either way it’s gorgeous! It turned out to be quite the masterpiece! I have never made a similar Fall centerpiece (or any centerpiece, for that matter), so I am quite proud of my first attempt! Especially considering all the elements that came together to make it. All the things! 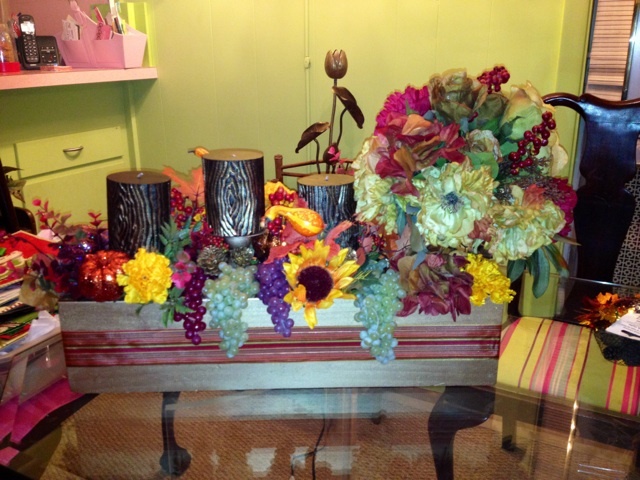 Wooden Napa Valley wine box, faux-grapes, faux-flowers, various candle holders, faux-woodgrain candles, ribbon, glitter pumpkins and HOT GLUE! 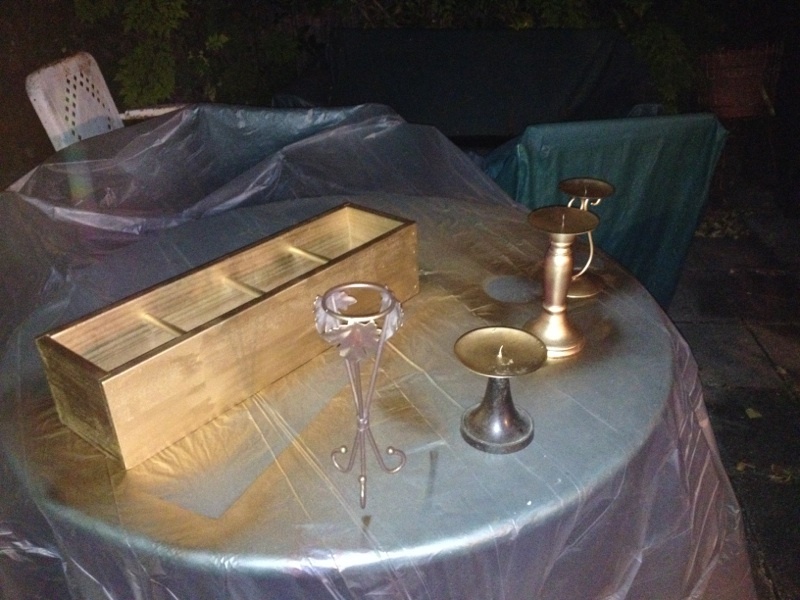 Some of these items we had at the house, including some flowers, and the gold spray paint used to make the box and candle holders both uniform, and much more glamorous. 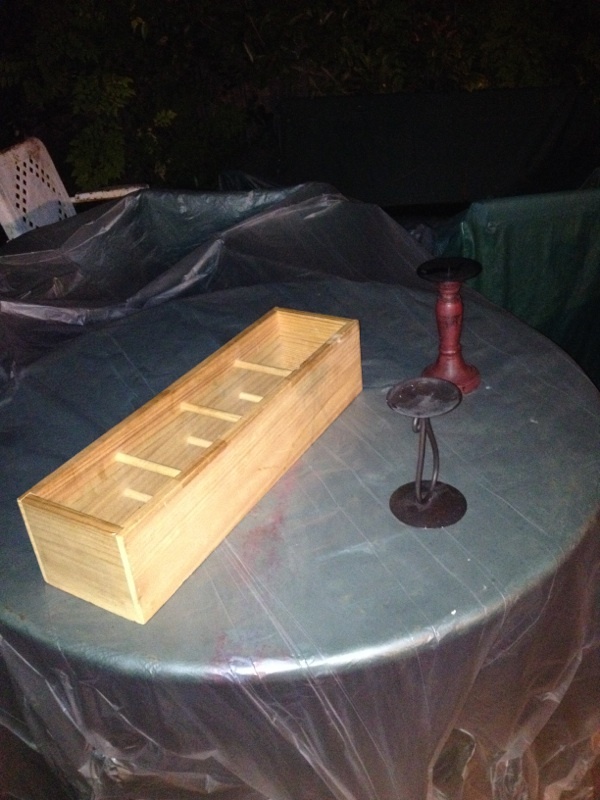 Several of the items were purchased at the Value Village down the street (the most expensive item was $6! ), and some I bought at Arne’s on a quick lunch trip earlier yesterday. If you’re in the Houston area and haven’t ever been to Arne’s Party Warehouse, you should go to there. It’s both sketchy and incredible! 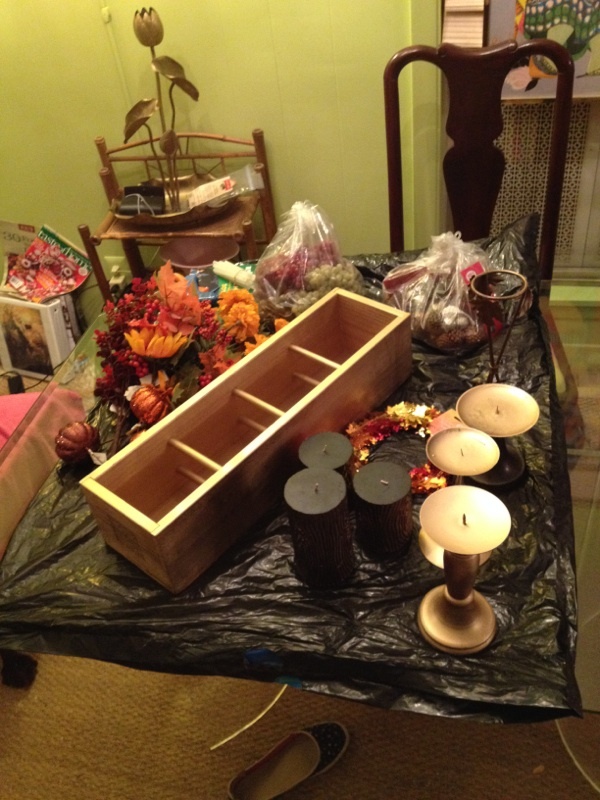 So, after the spray paint dried, I experimented with different “looks” for the centerpiece, including a “vase” effect on one side, which was tweaked so the entire piece eventually overflowed with flowers, grapes and the occasional golden pine cone! 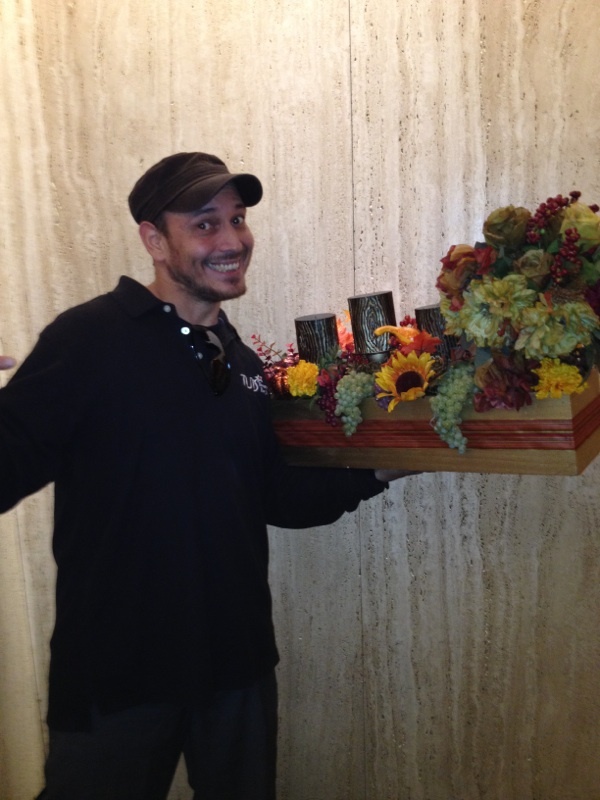 Needless to say, this is not the lightest of centerpieces, BUT, I was insanely fortunate to have some help from my friend/hero/former downtown co-worker, Ruben, who showed up out of nowhere this morning and saved my arms from their shaky fate! I have submitted it to the Craft Day committee, and determined that (based on the other entries there at the time) it is the best, most ornate and beautiful of the bunch! Here’s hoping it raises a lot of money for the United Way, and that I win that Michael’s gift card that goes to the person with the most votes!!! Next Post More Random Fun Because It’s Wednesday!